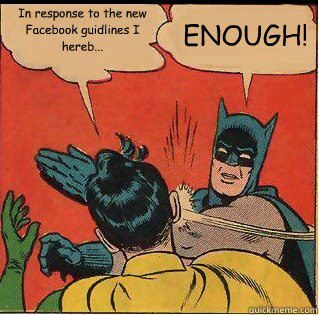 After Facebook conducted a massive survey of their users, there was a clear indication that people wanted to see a reduction on overly promotional posts in their news feed. 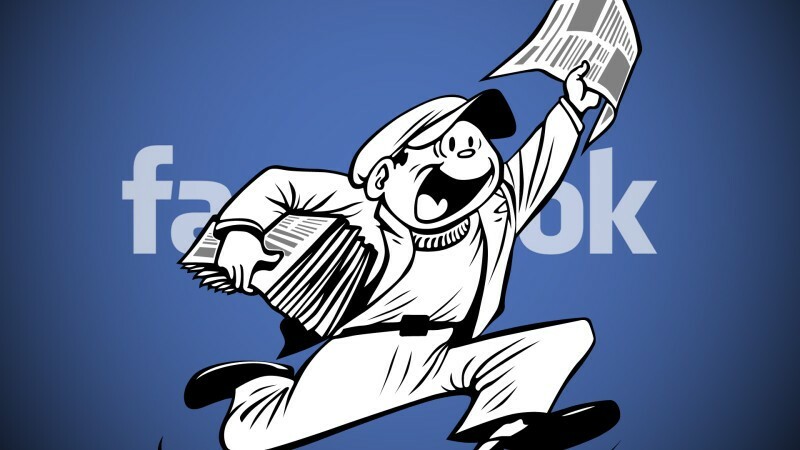 So, Facebook took action and earlier this year, and made drastic changes to their news feed. The change is geared towards providing Facebook users a better experience, which means that people’s news feeds will and should only display content that they want to see. But, what does this mean for your social media marketing strategy? This means that your Facebook business page will see a decrease in organic reach if your posts are too promotional. With this change, businesses are faced with the task of changing or updating their Facebook marketing strategy in order to maintain social media traffic to their sites. But, no need to panic, the changes and new constraints allow for new creative opportunities to provide your social media followers a better experience. Ever the optimists, here at LoginRadius. To provide you with some ideas, we’ve put together 4 tips to include in your new Facebook marketing strategy as well as 4 ways to combat the (potential) death of your Facebook organic reach. Your Facebook page is equipped with data that can provide you detailed information on your Facebook followers. Use this data to learn about your Facebook audience so you can provide them with content that is targeted towards them. This data will also allow you to use engaging content that will drive social media traffic to your website. The main reason Facebook is changing their algorithm is because people are using it to sell their products and services. Which goes against what Facebook was created for, to create meaningful relationships with your Facebook friends and followers. Instead, position your Facebook page as a customer relationship platform. This will take a little adjustment on your social media marketing strategy but it’s a good adjustment that needs to happen. People want to see great content on their Facebook news feed, so take this opportunity to showcase your best content. This means creating content that your Facebook audience wants to read, when you do this you’re website’s social media traffic will start to soar. Don’t post filler information or re-post the same exact content every few hours (people catch onto that sort of thing). Your Facebook page should be an outlet where your customers can engage with your brand and the people of your brand. 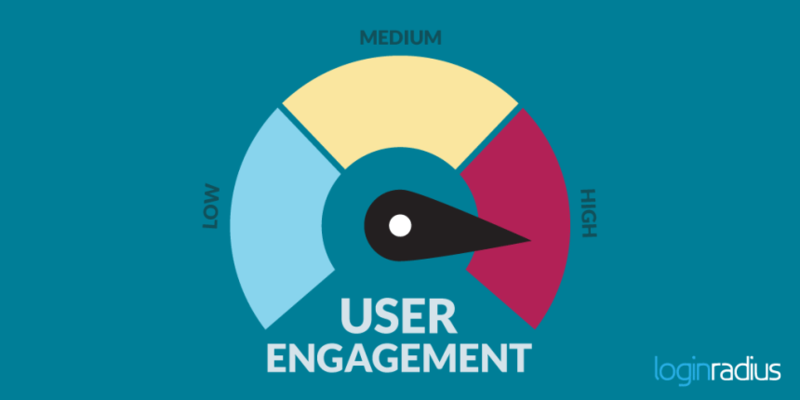 Use your page to engage with your customers and followers through engaging posts and comments. But, always make sure that you do respond to the comments left on your page. Now that you have some Facebook social media marketing strategies in place, here are some tactics to actually achieve those strategies. While the announced changes will only impact your Facebook page’s organic reach, it will not affect Facebook ads. According to the survey that they conducted, the surveyed users didn’t mind the promotional content that were identified as ads. 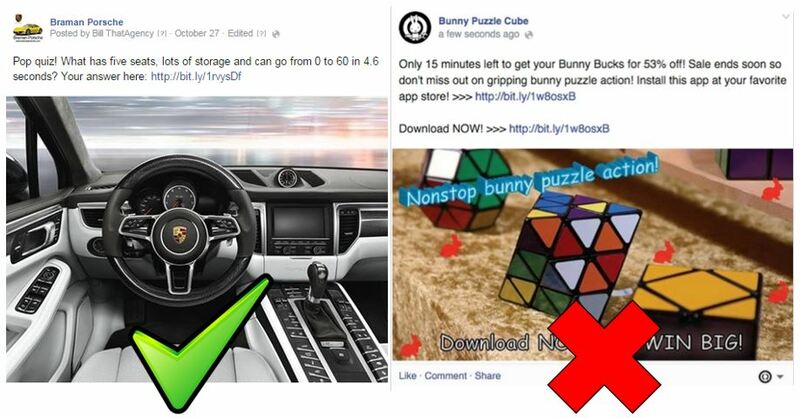 To avoid being too salesy on your Facebook page, use Facebook ads. Facebook recently revealed that 2 million small to medium businesses advertise on their platform, another reason that shows, businesses big and small are reaping the benefits of using Facebook ads for their business. You have creative control over your Facebook ads: This allows you to avoid ad fatigue and have the flexibility to try new creative ads every week. Enhanced audience targeting: You’re able to use your own CRM data to create look-alike audiences to reach new people who are similar to your customer base. A/B testing capabilities: With Facebook’s Power Editor, you’re able to A/B test your creatives to find the best audience for your ads that perform the best. Improve video reach and views: Using Facebook’s video ads will allow you to improve your video targeting as well as be just as catchy and memorable as TV ads. Reach your mobile audience: Reach your target audience right in the palm of their hands. More people are using their mobile devices everyday comparatively to their desktops. Gain in-depth insight into your audience: Track metrics that provide you insight that helps guide your Facebook marketing strategy. With Facebook wanting its Business Page manager’s to post content that provides more value to their audience, the best remedy to this is to turn to content marketing. Businesses with a strong content marketing strategy already have a leg-up on combating the decrease of their Facebook organic reach, while those who don’t have to play catch up. The easiest way to do this is to create a blog. Step 1: Identify the focus and position of your blog – your strategy! Before you start creating your blog, take a step back and plan out your blog strategy. This will take time to brainstorm the position of your blog, the kind of content your blog will offer, what kind of languages your blog should be in, as well as making sure you are writing content that is geared towards your audience. Doing this will make the rest of these steps go much smoother. The internet houses an abundance of blogging platforms, for example WordPress is a great tool to use for your blog. When designing your blog always keep your readers in mind. 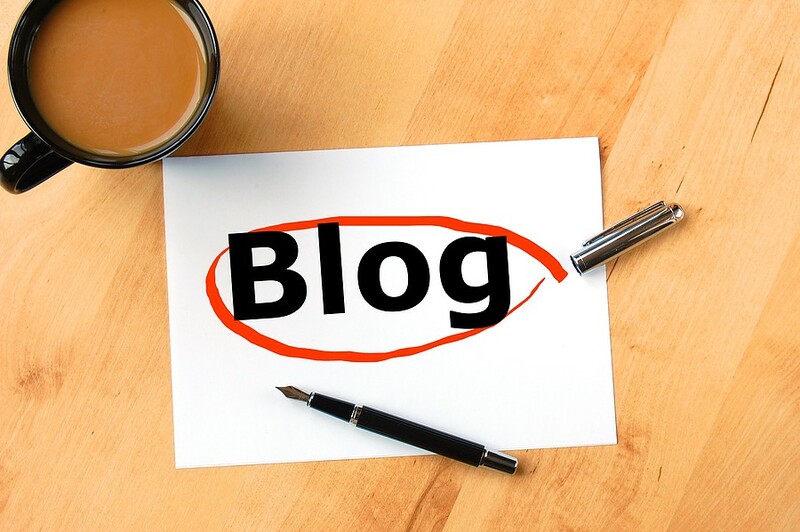 The look and feel of your blog should allow your readers to consume your content easily. But, beyond that make sure you design your blog with SEO and conversions in mind. Your website is used to support the sales funnel and so should your blog. Research is extremely important in creating great content for your blog. This can stem from competitive research that guides your content strategy. Taking the time to research will also ensure that you are writing content that positions your brand as a knowledgeable source and a thought leader in your space. This is probably one of the most important steps in creating a blog, make sure you have writers to write content for your blog. We can create great content but still get very little traffic. Which is why creating a content promotion plan for your blog posts is key to making sure you get eyes on your content. This is why your Facebook business page should be included in your content promotion plan. If your Facebook presence is based solely on creating engagement with your customers but you’re seeing that there’s been a significant decrease in your Facebook page’s engagement, try Facebook groups. Groups are communities of people that are driven by active conversation and discussion. With its opt-in nature, this guarantees you that the people joining your group are the most engaged and most passionate about your brand. Create a plan on how you are going to invite people to join your group. This can be a simple Facebook page post promoting the group or an email blast. 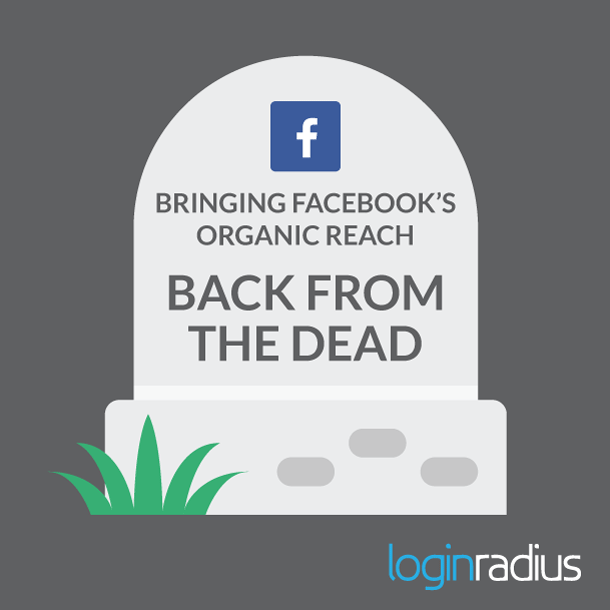 Facebook organic reach is not dead, or at least, it’s gaining rise again. The Facebook algorithm news feed change is still something businesses can’t ignore. This change should be welcomed with positivity as it is a change that improves your customers’ experience with your brand on Facebook, and is an opportunity for your brand to be more creative with your page and its contents.